Spotlight on Dallas Real Estate Market: Hot Or Not For Millennials? Millennials have been the center of a lot of discussion and analysis when it comes to the real estate market. Investors want to know whether or not this large generation is seeing an increase in homeownership rates or if they are remaining as renters. Similarly, which real estate markets are seeing a rise in Millennial homeowners and which are driving Millennials away? Consider Dallas, Texas. This city has experienced a booming job market due to the diverse economic opportunities found there. 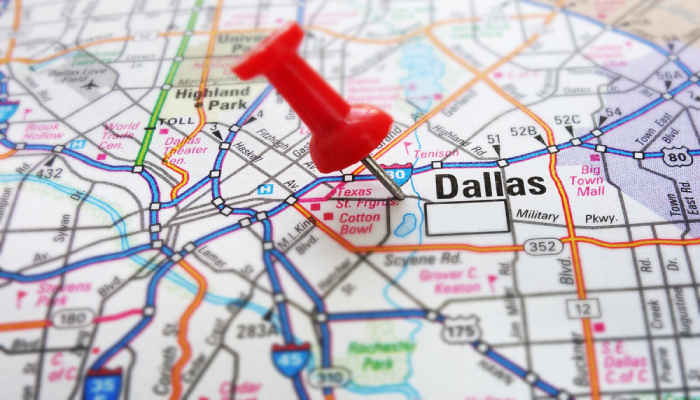 Fortune 500 companies such as AT&T, Energy Transfer Equity LP, and Southwest Airlines CO are just a few of the many billion-dollar companies that call Dallas home. These have all contributed to making Dallas surge ahead as a profitable market for real estate investors. According to CNBC, Dallas was ranked number 2 in the nation’s healthiest housing markets. Additionally, Dallas was named 6th in the nation for one-year job growth. On the surface, this makes Dallas seem like an ideal location for real estate investors and even for Millennials looking for permanent residence while seeking new employment possibilities. However, it is because Dallas is such a hotbed of activity for jobs that the real estate market has become just as competitive, making it very daunting for Millennials looking to purchase homes in this area. The “median home price in Dallas is at $400,000,” according to Zillow’s statistics: “Dallas has seen a 12.2% increase in home values over the past year,” and that number is only expected to continue rising in the years to come. As a result, Millennials just can’t keep up with this continually-growing housing market in Dallas. In a recent study conducted by ABODO, an online service for locating apartment rentals, Dallas was ranked No. 106 in the nation for the number of Millennial homeowners there. According to their data, only 28.7% of Millennials in Dallas own a home. The report also revealed that it would take Millennials nearly 10 years to be able to save enough money to cover a down payment for a home located in Dallas. The struggle to find a job fresh out of college, coupled with the looming debt from student loans, and any other monthly expenses they must contend with makes it nearly impossible for Millennials to save enough for a down payment. The solution: more and more Millennials are choosing to rent (71.3% to be exact) or live at home with their parents (34.1%). It has just become more economically feasible to share the living expenses with roommates or remain with family while they attempt to get financially situated. This pattern that Dallas is experiencing shouldn’t seem new for those involved in real estate. It is no secret that housing prices have been steadily increasing across the country. During this time, it has become a sellers’ market, where those who own homes can boost listing prices and actually receive the same if not more than what they are asking. Why? Because the real estate market has become exponentially more competitive, so not only is the time a property spends on the market decreasing but so too is the number of available properties for sale. As a real estate investor, the question that should be asked is, what can be done to capitalize on this market of Millennial buyers? Where should the focus turn to? The answer: smaller cities, lower prices. In the same report completed by ABODO, they discovered that the small to midsize metros are the places where the Millennial homeownership rate was higher: “Ogden-Clearfield Utah topped the list with 51% of Millennials owning their own homes, followed by Grand Rapids-Wyoming, MI with 45% and Des Moines-West Des Moines, IA with 43.6%.” On the flip side, large and more densely populated cities located on the coast or popular college towns saw the lowest number of homes owned by Millennials. Instead, Millennials were much more likely to be renting than buying. Real estate investors should target smaller metros that offer more opportunity for Millennials to find housing. Average down payments of 20% for pricier cities like Los Angeles or San Jose could total over $100,000 when compared to the less expensive markets like Pittsburgh and Buffalo that list down payments under $50,000. Remember, it can take Millennials decades to save enough money to finally make a purchase. The odds are they will be more interested in homes located in these affordable markets, so investors should also act accordingly if they wish to cash in on this growing segment of home buyers.